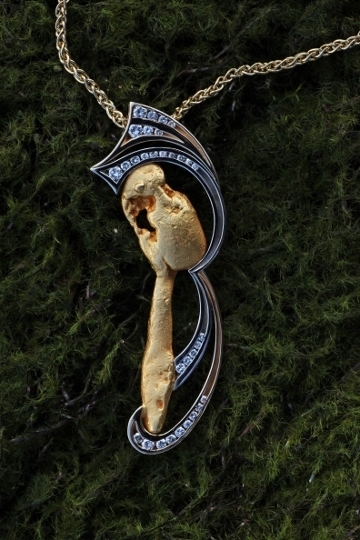 One of a Kind Natural Alaskan Gold Nugget and Diamonds in 14kt Two Tone Gold Pendant. This specific pendant has sold. As it was designed around a unique natural Alaskan gold nugget it cannot be duplicated. However, something similar can be designed around a different nugget. Give us a call to discuss your custom pendant.